VERNON - Lisa Mazurek was standing at the front desk of the Vernon courthouse, trying to get a peace bond against her tenant. She was tired, frustrated and running out of options. Since March, things had been going downhill with the tenant renting out her basement suite. What started off as late or unpaid rent had escalated to visits from the police, erratic behaviour, confrontations, drug use and even threats, she says. For Mazurek, simply taking her dogs out into the backyard had become a stressful activity for fear of another confrontation. By May, Mazurek and her husband had had enough and informed the tenant they were going to use the space for personal use. As the law stipulates, they provided two months notice along with one month’s free rent — a small price to pay for peace of mind, Mazurek says. They were a difficult two months. On multiple occasions, Mazurek says the tenant threatened to harm her physically. Acquaintances pounded on the downstairs doors and windows at odd hours. 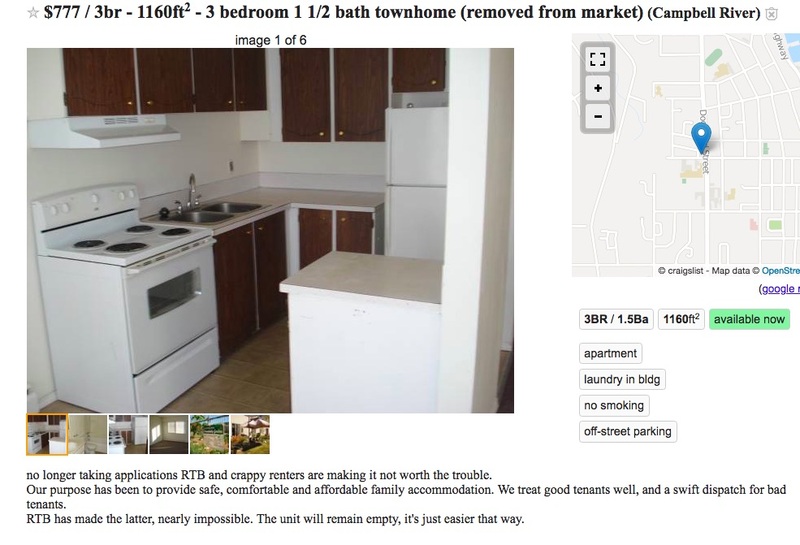 The tenant admitted to using drugs — and apologized via text message — but nothing changed. Mazurek says the unit was filthy. At that point, Mazurek couldn’t wait any longer. She believed she had grounds to end the tenancy early, something that can be done for several reasons including if the tenant has “significantly interfered with or unreasonably disturbed” the landlord, endangered the landlord’s safety, or engaged in illegal activity. To do that, Mazurek needed to spend $100 to apply to the Residential Tenancy Branch for dispute resolution. The soonest hearing date was a month away and once initiated, the process could take many more months. Fearing for her safety, she took the step of going to the Vernon RCMP detachment to ask for a peace bond against her tenant. They redirected her to the courthouse. Which brings us to Mazurek standing in front of the court registry, out of options. Mazurek went home, waited, and prayed the tenant would simply leave according to the original two-month notice. 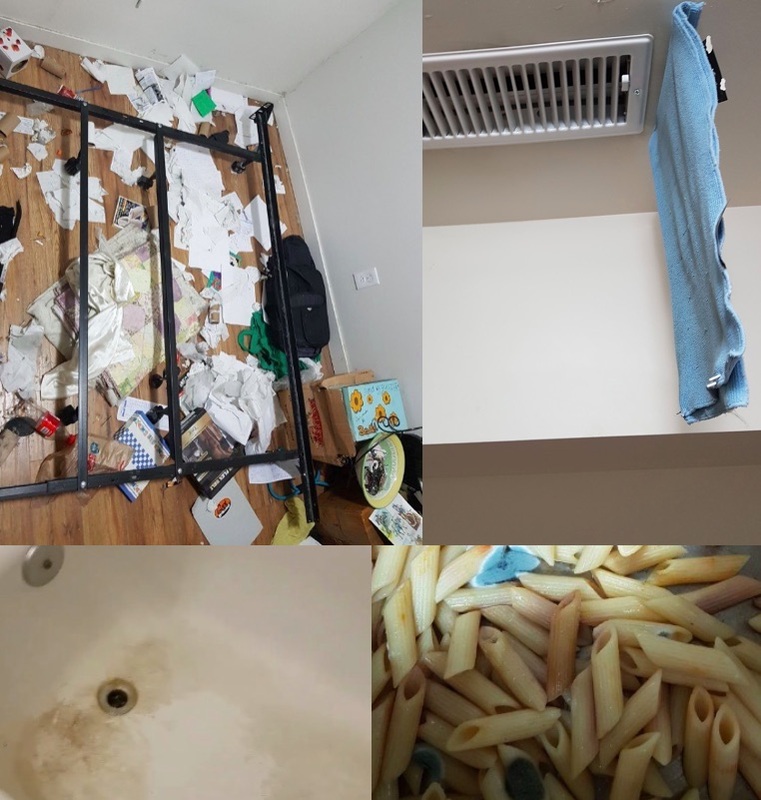 Ultimately, the tenant did go — a few days after the precise eviction date — but left numerous belongings, garbage and damage in the suite. Mazurek has to keep all that stuff for up to two months in case the tenant wants it back. She’s spent hundreds of dollars on dump fees alone and it will cost more to repair the damage done to her home. And after all of that, she says she’ll never rent again. It’s the type of story Okanagan-Shuswap MP Mel Arnold has heard many times before. He says there needs to be a fair balance between a renter’s rights, and their landlord’s. “The Residential Tenancy Act was originally designed to provide protection for tenants, which is reasonable, but it hasn’t gone too far in protecting landlords,” he says. He’s talked to landlords who experienced difficulties, including lengthy waits for hearing dates, in order to evict tenants who were failing to pay rent, damaging property, or engaging in illegal activity. “I’ve heard from people with a basement suite, I’ve heard from people with a single detached home and I’ve also heard from apartment unit owners with multiple units. The same issues are popping up over damage to the property or unpaid rent. It’s widespread across the spectrum,” he says. Arnold believes one part of the problem is there’s not enough supported housing in the community for individuals with mental health and/or substance use problems, leaving them renting within the community without the resources they need to be successful tenants. “There are individuals out there that could do much better with even a small amount of daily or weekly assistance, but there are very few services,” he says. Aside from the stress on homeowners, Arnold says the situation is also having an effect on an already razor thin rental market. If landlords want out, where will renters go? The B.C. NDP struck up a task force earlier this year to look at rental housing issues in the province. Chair Spencer Chandra Herbert, Vancouver-West End MLA, says the group met with landlords and tenants across the province and heard plenty of concerns. “One thing that became quite clear is we need better action to support good landlords and good renters. There have been some people who take advantage of the system,” he says. Chandra Herbert says the NDP have already made some changes which should help, including large fines for people who break the laws. He says landlords are technically small business owners and it’s their job to know the law and apply it; it’s the government’s job to make those laws effective and fair. The province has also committed funding over the next three years to bring on more staff at the Residential Tenancy Branch to reduce wait times, he says. “Obviously, people want a quick response if a landlord is harassing a tenant or vice versa,” he says. He admits more needs to be done and says the task force is working on a series of recommendations. Making both landlords and renters feel confident and protected in the system is vital, he says, because B.C. needs all the rental housing it can get. "If (a landlord) has a bad situation it might scare them away from the business, and thus we lose the housing. We really need those units,” he says.